Over the past few millennia, turmeric has been used to treat health ailments and even disease. Generally the plant is used to treat things such as; inflammation, digestive imbalance, gallbladder problems, intestinal worms, menstrual cramps and bruising. Curcumin is the essential healing agent in turmeric and specifically it treats inflammation. Therefore, it is no surprise that turmeric supplements are raising in market popularity to treat ailments with a natural, safe and effective plant. If consumers are seeking the aforementioned benefits of turmeric and specifically curcumin, they may want to try Australian Natural Care Curcumin. This highly potent product contains an exclusive combination of Meriva curcumin and phytosome technology. Curcumin is the active ingredient in Turmeric and the most essential in providing health benefits to users. Phytosome works as an absorption aid, as the body does not readily assimilate curcumin. The manufacturers of Australian Natural Care claim the product to be 29 times more effectively absorbed than other products on the market. 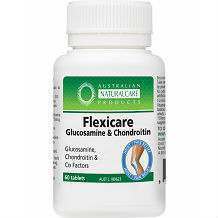 Clinical trials of the product have also shown it to be effective in reducing osteoarthritis and improving mobility of sufferers. 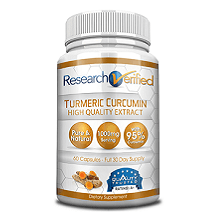 No additional information is available regarding the ingredients used in Australian Natural Care Curcumin. However, the manufacturer states that there is no diary, wheat, gluten, lactose, yeast or artificial flavors or preservatives used in the product. It is a vegetarian supplement. The manufacturer recommends a dosage of two tablets daily. It is highly recommended that customers seek advice from a health care practitioner before taking supplements. The price of a bottle containing 60 tablets of Australian Natural Care Curcumin is $ 49.95. However, if consumers buy direct from the manufacturer, the price is discounted to $34.95. One bottle is approximately a one-month supply. There is a 60-day money back product satisfaction guarantee. This is higher than some products on the market, but customers are responsible to pay the shipping and handling for returns. Australian Natural Care can be an excellent alternative turmeric supplement. The manufacturer offers a fair money-back guarantee, which will give you peace of mind on its purchase. Furthermore the proprietary formula likely offers consumers faster results than other products. Its proprietary formulation also enhances its ability to deliver effective results. It is not however, inspected and cleared by the FDA.